NOGALES, Arizona — The top of the Santa Cruz County Administration building on North Congress Drive delivers a birds-eye view of this border town. 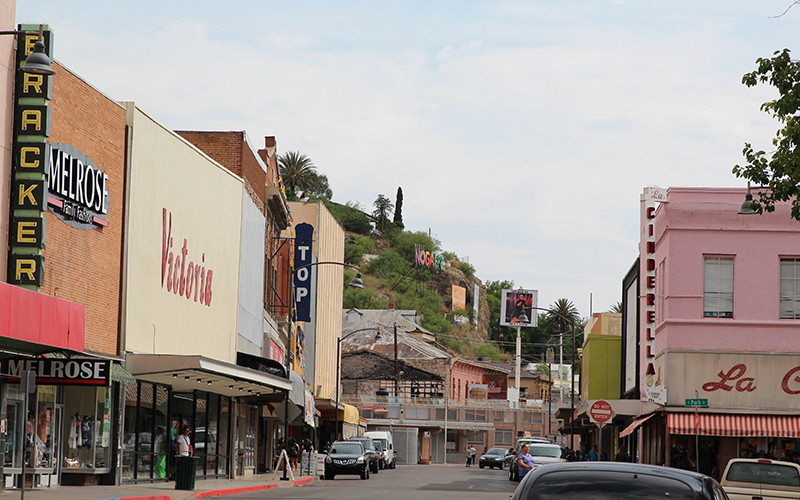 Cars with Arizona and Mexico license plates drive down I-19, which becomes Grand Avenue in the city center and features dozens of multicultural shops lining the streets. On the northern tip of the community lies the Baffert Ranch and Escondido Crossing, where a small bridge protects cars from the creek running through the property. In the 1960s and ‘70s, that bridge was much more rickety, and Bob Baffert’s cousin Pierre recalls it breaking at one point as a pickup truck crossed delivering eggs. Those were simpler times, before Bob Baffert became a two-time Triple Crown winner and one of the most accomplished trainers in the history of horse racing. “We were like the ‘Ozzie and Harriet’ family,” said Baffert, referencing the popular sitcom of an idyllic family in the 1950s and ‘60s. “We just grew up on a ranch life,” said DeeDee Kirsch, one of seven Baffert children that were raised on the 240-acre cattle ranch. 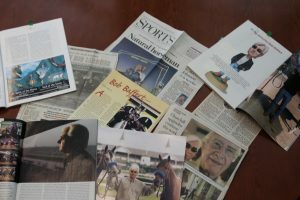 For all the success Baffert has experienced in his adult life — including winning his second Triple Crown with Justify in June — many of his achievements stem from growing up on the outskirts of Nogales in his large, close-knit family. Even though he lives in California, he remains connected to the town and the ranch, which is still operational today. Life on the ranch in the ‘60s and ‘70s was simpler. Television was a hot commodity because of the lack of reception on the outskirts of town. Oldest child Bill Jr. recalls putting an antenna in the middle of one of the cattle fields to get service, but that was 200 to 300 yards away from the house, and the cows would frequently knock it down. “We’d find things to do,” Bill Jr. said. Instead, the children competed on the dirt basketball court that their father made, roller skated around the property or played with figurines in the anthills because the Arizona dirt was hard. “We would get bitten by ants,” third-oldest child Nori (Baffert) Van Buren said of playing with her younger brothers Bob and P.A. Bill Jr. said one activity to ease boredom was a version of football which featured the children playing on their knees between two adjoining bedrooms, 15 yards long and 5 to 6 yards wide. And when they were not finding ways to entertain themselves, the children’s parents, William “Bill” Sr. and Elinora “Ellie,” found ways to keep their children busy. “When you’re on a ranch, there’s no downtime,” Van Buren said. After coming home from school, they would sit in front of the television, if they were lucky to have reception, and started watching. “We would hear my dad’s footsteps coming, and we would scatter,” Van Buren said. The Bafferts hired workers to help with the thousands of hens on the ranch, but if the workers didn’t come in, the task was shifted onto the children. Once, the children were collecting eggs and had a competition of who could throw farthest because of a tall embankment on the property. All of the children were also involved in 4-H, learning how to care for animals and competing in shows around southern Arizona. Bob said he always looked up to his older brother Bill, who was a good student and won many awards. Bill had the opportunity to travel to a large farm in Kentucky through 4-H and brought back BloodHorse magazine for his family. The 4-H horse conformation classes he attended still help him today with how he picks out horses to buy, Bob said. William Baffert Sr., known as Bill, bought the family’s 240-acre cattle ranch in 1953, the same year Bob was born. “He bought these chicks and said, ‘Hey, I’m going to raise these chickens to lay eggs,’ ” William (Bill) Jr. said. The family started with 30 to 40 chickens. Bill Sr. created a lean-to shed, using sheet metal with holes in it for the chickens to lay their eggs. The children would collect the eggs that were then packaged in paper bags, which Bill Sr. would sell to friends and family. When the Baffert’s egg business became successful, they had several thousand laying hens, which they sold commercially to grocery stores and restaurants in Nogales, Bill Jr. said. “That was the foundation for buying the cattle, buying the horses, getting involved in agriculture for my dad,” Bill Jr. said. First came the chickens and then came the cows. “My dad’s passion was always the horses, but he would go through phases. My dad was a goer,” Bill Jr. said. Bill, the oldest son, went through a cattle phase. Bill Sr. and Jr. would show cattle together in California and Denver. 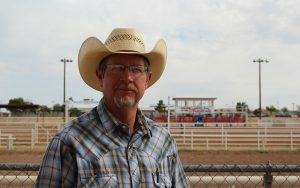 Bill Sr. was the first president of the Arizona Angus Association. 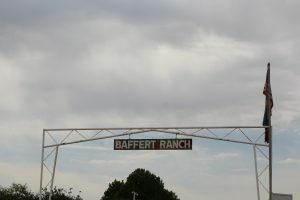 In the 1950s and 1960s, the Baffert’s ranch was one of the few in southern Arizona to raise black cattle. Now, Bill Jr. said, Angus beef is the mark of excellence. “He went against the grain,” Bill Jr. said. The Baffert ranch still raises Black Angus. Bob recalls his father loving all animals and having a zoo of barn creatures. And then came the horses. 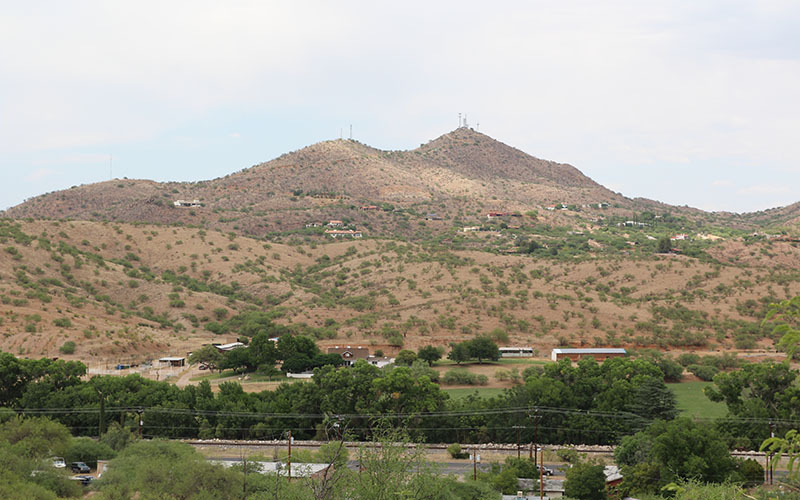 A 31-mile drive northwest of Nogales is the town of Sonoita, Arizona, which has a population of approximately 14,000. At 10 years old, Baffert started to race horses at the iconic racetrack, which celebrated its 103rd annual race this past May. When Bob started training quarter horses full time, he ran a few of his horses from Los Alamitos, California, in the Sonoita races. He said it was a big deal for his father, who started him in horse racing. 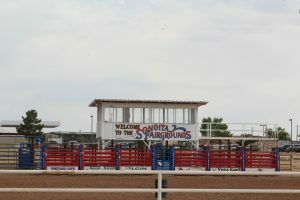 Lewis’s grandfather, Blain, was the first person to have a race at Sonoita Fairgrounds. He also trained the legendary quarter horse Parker’s Trouble, who was inducted into the American Quarter Horse Hall of Fame. It was Parker’s Trouble who started the Baffert’s journey in the horse racing industry. Blain Lewis helped the Bafferts train horses when they started out in horse racing. Jimmy Lewis said the Bafferts followed what his grandfather, who was nationally recognized in the horse racing industry, did and implemented it at their ranch in Nogales. “They dug out a dirt road down there and the dirt track and straightaway and started training their own horses, and the rest is history,” Lewis said. “He (Bill Sr.) couldn’t really train them himself, so I was at the age where I could help them, and I was young enough to learn how to ride and then I wanted to be a jockey,” Bob said. 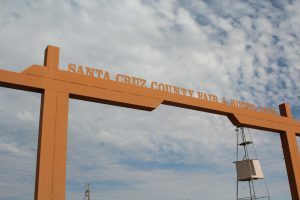 At the Santa Cruz Fairgrounds in Sonoita, the racetrack still displays the red and blue decorated “Welcome to the Sonoita Fairgrounds” sign, which Bob Baffert stood under with his father at the beginning of his horse racing career. Bill Jr. describes his father taking an old gelding and putting an exercise saddle on him for Bob to ride. Bob fell off two or three times on the track, Bill Jr. said. Bob and Nori rode the most of the seven siblings. “We rode in parades,” Nori said. But not in Fourth of July parades. Instead, the two would saddle up for the Cinco de Mayo parade, which went to both sides of the border. “I could saddle up a horse and just take off riding for a couple of hours without anybody wondering where I was,” Bob said. As a teenager, Bob Baffert raced quarter horses at tracks such as Rillito Park in Tucson. Years later, the 75-year-old racetrack would celebrate Bob’s second Triple Crown win with a Belmont Stakes party. According to the National Museum of Horse Racing, Baffert won his first sanctioned race in Flagstaff as a 17-year-old in 1970. But because of his mother’s insistence, Bob Baffert was going to get an education. “My mom was in charge of the education. We all had to go to college,” Bill Jr. said. Elinora Baffert worked in the Nogales public school system for 40 years. She served as an elementary school teacher for 32 years and as a principal for eight years at A.J. Mitchell School in Nogales. Dr. Lucina Romero, who will retire as principal of A.J. Mitchell Elementary this June, was a student when Elinora was teaching and remembers trips to the Baffert Ranch to learn about the chickens and processing eggs and agriculture. Later, Elinora hired Romero at A.J. Mitchell. “She taught us expectations. Be responsible. Live up to those expectations. Do what is best and always be respectful. That’s how she raised her children,” Romero said. When Romero discovered Elinora owned a Mercedes Benz — Romero’s dream car — she asked Mrs. Baffert why she didn’t drive it to school. Mrs. Baffert said she did not want to make anyone feel uncomfortable because, at the time, the school was part of a high poverty area. “Humbleness, humility were lessons that she taught us, her students, her staff members and her own children,” Romero said. “Once you get the bug, it’s really tough to get rid of it,” Bob said. Like several of his other siblings, Bob Baffert attended the University of Arizona in Tucson. He entered the Race Track Industry Program, which was started in 1973. He graduated from the University of Arizona in 1977 with his bachelor’s degree. Following graduation, Bob moved back to Nogales to help at the family ranch as he looked for employment. He even had a brief stint at Nogales High School as a substitute teacher. “He was probably the worst teacher in the world,” Bill Jr. joked. Though the son of an educator, substitute teaching didn’t work out for Bob. He started training quarter horses and later switched to thoroughbreds when he moved to California and worked at Los Alamitos Race Course. “There was a running joke in my family that the reason Bobby didn’t become more successful earlier in his life was he had to train for my dad,” Bill Jr. said. Bob’s first win as a thoroughbred trainer was at Rillito Park in Tucson on Jan. 29, 1979, with Flipper Star, according to the National Museum of Horse Racing. He won his first Kentucky Derby in 1997 with Silver Charm, followed by another Derby win with Real Quiet in 1998. With 3-year-old War Emblem, Baffert made his first try for the Triple Crown, winning the Kentucky Derby and Preakness Stakes in 2002. But it was the 3-year-old bay colt American Pharaoh that brought Baffert his first Triple Crown victory in 2015, making him the 11th trainer to win the prestigious award. He followed with his second Triple Crown in 2018 with Justify, the second horse to win the Triple Crown with an undefeated record. All of the children worked to make their parents proud, Kirsch said. Bill Baffert Sr. passed away in 2012, one year after his wife, Elinora, in 2011. Though Baffert’s parents were not around to celebrate his two Triple Crown victories, he had his siblings with him throughout his journey. But never all six siblings at once. “It’s luck to win those three races,” Bill Jr. said of the family’s superstition. And Bob said his siblings have a good sense of knowing when he has a good horse in the race. The seven Baffert siblings are a close-knit group. Growing up on the outskirts of Nogales back in the ‘60s and ‘70s, they couldn’t visit friends too often. “When we lived in Nogales, my best friends were my brothers and sisters,” Bob said. Now, the seven siblings have a siblings-only group chat. DeeDee said there isn’t a week or two where she isn’t able to talk to all her siblings. Bill Jr. said he and Bob talk more often on FaceTime. The siblings, minus Gamble, one of the four brothers, made a trip of Baffert’s Belmont Stakes victory in June 2018. This year, they stayed in Manhattan and had a party bus of almost 30 people to take them to the Belmont Stakes. After the race, the family went with Bob and his crew to an Italian restaurant to celebrate the Triple Crown victory. The restaurant was packed, Bill Jr. recalled, and said his brother went to every table to greet the people. “I was super proud of him. I know how hard it is — 55 years. It wasn’t like it came to him overnight,” Bill Jr. said. And despite his international recognition, the two-time Triple Crown winner is still the goofy Bobby to his brothers and sisters. “Bobby was always a character. He was always funny. He entertained. Bobby always said it like it was,” Nori said. Nori remembers one of their aunts who was particularly fond of Bobby, treating him like a prince. She was a teacher and always made sure the children spoke grammatically correct. “You couldn’t say, ‘Where’s my mom at’ You don’t say ‘at,’ ” Nori said. The Baffert siblings have all moved on from the small town of Nogales though Bill Jr. goes there every week to maintain the family ranch. But the Baffert presence remains in the street signs and in restaurant corners. A photo of Bob Baffert’s 2015 Triple Crown victory with American Pharoah hangs on the wall of Las Vigas Steak Ranch on Loma Street in Nogales. “To my friends at Las Vigas, best machaca in town, Bob Baffert,” is inscribed on the photo collage. The photo includes jockey Victor Espinoza and the 12th Triple Crown bay colt, American Pharoah, framing the top of the collage. Bob Baffert, his wife and Espinoza hold the silver Triple Crown trophy, awarded at the Belmont Stakes on June 6, 2015. Baffert dons his iconic black shades with a large grin on his face as he wins his first Triple Crown. On top of an old-school tarnished cash register rests a mini Bob Baffert bobblehead, also wearing the signature shades, a pair of jeans and black jacket. Two weeks before Baffert won his first Triple Crown in 2015, Martinez sent Baffert the machaca. In his 2017 Triple Crown victory, Martinez overnighted the machaca the Tuesday before Saturday’s Belmont Stakes. Lewis said Bob’s character is what makes him a special person. “He texted me after the Preakness and said Parker’s Trouble started all of this. He didn’t really need to say that to me, but I guarantee you I appreciate that,” Lewis said. 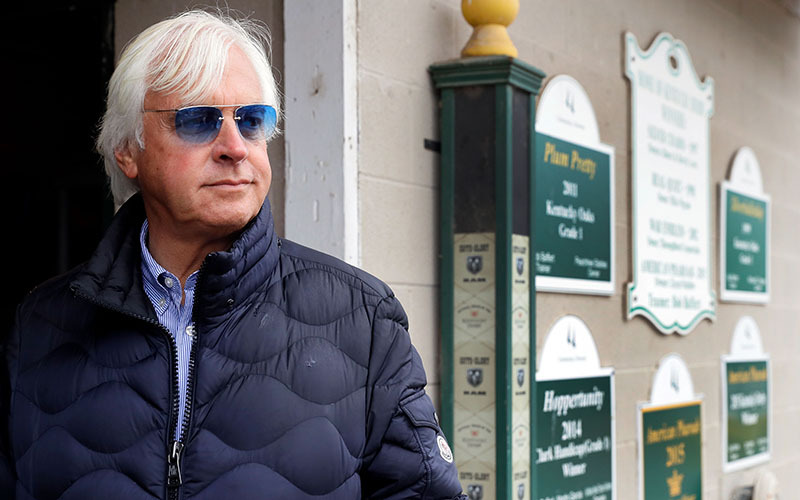 From a small town on the border of Mexico to one of the greatest success stories in horse racing with two Triple Crowns and 15 American Classic wins, Bob Baffert carries on his family name and holds his Arizona roots close. And as Bob sat with his siblings in an Italian restaurant after winning his second Triple Crown, he looked to them with amazement.